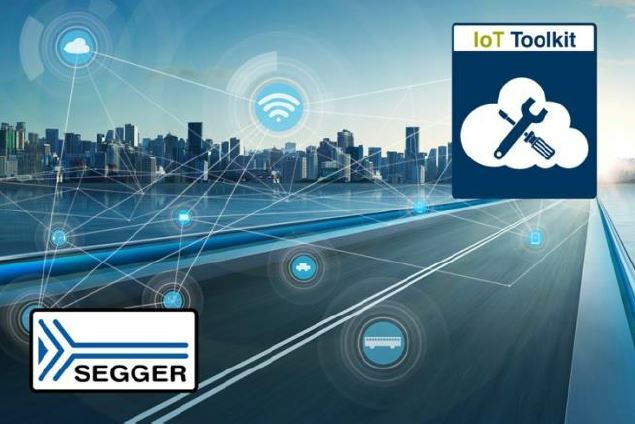 SEGGER’s IoT Toolkit is a complete set of tools empowering IoT devices to interact with cloud based services, such as AWS, Azure, Dropbox, Twitter, Xively, and others. The set includes an http client and a JSON-parser and has been designed from the ground up for resource-constrained embedded systems. The IoT Toolkit works on top of the IP-Stack embOS/IP and can apply transport layer security via emSSL, if required. The toolkit support ranges from simple jobs such as retrieving a web page via the http protocol to complex tasks such as communicating with a REST based API using the JSON description language. A real world application sample is SEGGER’s Dropbox client, which uses the IoT toolkit to connect with the latest Dropbox API. For evaluation all IoT tools are available as free to use Windows executables. “The embedded industry is strongly moving towards cloud-based solutions. The demand for simple ways to connect to cloud servers is growing with IoT and Industry 4.0 applications. Whether the device shall be capable of broadcasting messages, or sending warnings on multiple channels using MQTT for instance or simply log events or store data at a cloud service via CoAP, with our IoT Toolkit, customers can easily set up their device for communication with a cloud based service with the least effort”, says Dirk Akemann, Marketing Manager at SEGGER.